Victoria Smith-Gillard Dip.CBH GQHP AMACDip. 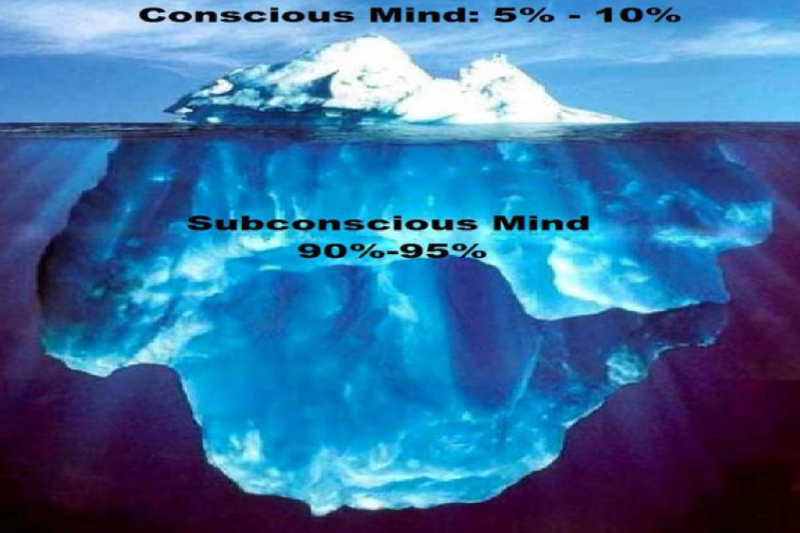 Your conscious mind (what you are aware of in the present moment) is only 5-10% of who you are, the remaining 90-95% is in your unconscious mind (everything you’re not aware of in the present moment). Hypnotherapy is a complementary therapy, using existing knowledge and the creative powers of your mind to make positive changes that can be activated, when you are relaxed, through the use of suggestions. The suggestions offered by the therapist are intended to change your thoughts, feelings and behaviour in some way, in accordance with what’s been discussed in your session. Hypnosis can be described as a relaxed state that’s different to your ‘normal’ state of awareness and responsiveness – where your mind and body may become deeply relaxed, where your awareness of things around you (external environment) reduces and your attention is focused more on inner experiences e.g. breathing, sensations. By focusing more on what’s happening within you rather than what’s around you is commonly known as being in a ‘trance’ (state). Being in a ‘trance’ is where you’re most receptive to those suggestions from your therapist and therefore where positive changes can occur. What may I experience during hypnosis? Whilst in hypnosis, you can experience a sense of relaxation, as well as changes to your physiology and breathing that support that relaxation. You may feel very relaxed after the session too, so you may wish to allow yourself a short while after before getting in a car to drive home. I’m happy to provide water during or after your session, dependent on your needs. What is ‘being in a trance’ like? The hypnotic ‘trance’ state is natural for all humans, and it’s a state you will have been in many times before – think of daydreaming (the first level of the hypnotic state), reading a book so much so that you don’t hear someone call your name, driving from A to B and not knowing how you got there. Your first session is the initial consultation, which will last around an hour and a half. This allows me as the therapist to take detailed information about you, your lifestyle, expectations and previous experiences (if any) of hypnotherapy and other therapies, medical history, the problem itself, where you feel you are right now and where you want to be (therapy goal). From this information, we can devise a plan for therapy, and this will be an individual approach, unique to you and your circumstances. It may be an integrated approach involving aspects of other therapies that I use, so we can get the most out of a session for you. There is a few forms we need to complete with you, and again part of the session will be given over to that procedure. The session also allows you as a client to discuss any questions or concerns that you may have at that time, if we haven’t discussed them already, and to offer any further information that you feel would be relevant for me to know, as well as getting to know how I work with my clients and whether this works for you and you are happy to continue with therapy with me. I wish my clients to feel re-assured as they start therapy with me, so please feel free to ask those questions. Will I be hypnotised during the first session? Hypnosis may or may not be possible during the first session, dependent on the information received (and whether I need to check with your doctor about anything that’s come up) and the time we have left available – to ensure we can complete the hypnosis in full and without rushing the process for you. There will be a couple of handouts for you to take home and a self-hypnosis activity also (I will guide you through the self-hypnosis so you can see how to practise this). Between us, we may also agree on other home activities (to begin moving you forward towards your goal) for you to put into place, in the time between that session and the next. Common issues where hypnotherapy is sought and may help are: stress reduction; habits and emotional issues; improving sleep; PTSD; weight control; stopping smoking; increasing confidence and self-esteem; inducing relaxation; overcome depression, addiction, anxiety, phobias, OCD; control symptoms of pain and medical disorders; fibromyalgia; improve health issues; bereavement, loss and separation; increase learning, sports performance; exams; improve motivation; enhance creativity; and this is in no terms a definitive list. E.g. Clients who come to me for therapy experiencing stress and overwhelm found these benefits, using a combination of the therapies: managing their emotions better; reduction in symptoms of physical pain and stress levels; increased self-esteem; coping strategies and an increase in their ability to cope; self-acceptance and knowledge; taking responsibility for their life and an increase in self-motivation; feeling lighter, calmer; a greater degree of control over how they think and understanding the impact that can have on their feelings and behaviour. N.B. If you are suffering from clinical depression, borderline personality disorder or schizophrenia, please consult your GP first before contacting a Clinical Hypnotherapist.